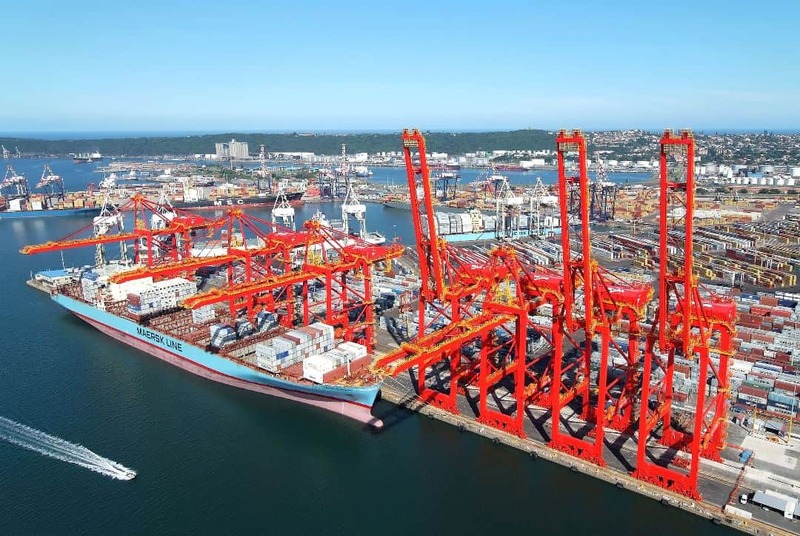 The Port of Durban will be able to accommodate larger container vessels as Transnet National Ports Authority (TNPA) plans to deepen and lengthen berths at Durban Container Terminal (DCT) by 2023. Currently larger vessels can only enter the channel at high tide while super post-Panamax vessels with a capacity of 9,200 teu take up two berths of the North Quay, shrinking port capacity and resulting in delays and vessel queues at outer anchorage. Krishna Reddy, TNPA’s chief capital officer, said the R7bn (US$463m) mega project would help sustain the existing container operations at the Port of Durban. Dredging will be carried out to deepen the turning basin and approach channel serving berths 203 to 205 from 12.8 m to 16.5 m draught. The existing quay wall will be lengthened from 914 m to approximately 1,210 m to allow for the simultaneous berthing of three 250 m long post-Panamax vessels. A new quay wall at Pier 2’s North Quay will be constructed 50 m seawards of the existing quay wall, along berths 203 to 205, which will provide sufficient water depth to safely accommodate larger post-Panamax vessels. Seven existing 80 tonne ship-to-shore (STS) cranes at Pier 2 will be modified to suit the profile of the new quay wall structure and to serve berths 205 to 203. Reddy said: “In the Port of Durban which handles approximately 65% of the total containerised cargo of South Africa, we have a critical need to provide modern, safe, deeper and longer container berths to accommodate the ever increasing size of container vessels we are now servicing. The contract for the main marine construction works package has been awarded to CMI Emtateni Joint Venture which is made up largely of four entities that includes Italian construction company CMC Di Ravenna and its South African company CMI Infrastructure, Omame Emtateni Empowerment Group Consortium and Masinya Emtateni Empowerment Group Consortium. The work will be executed in three successive phases to ensure the terminal is able to accommodate two vessels at any time between berths 203 to 205, even while one berth is decommissioned. The project will commence at the end of October 2018.